Quiz: Should You Go Natural Or Keep Your Relaxer? 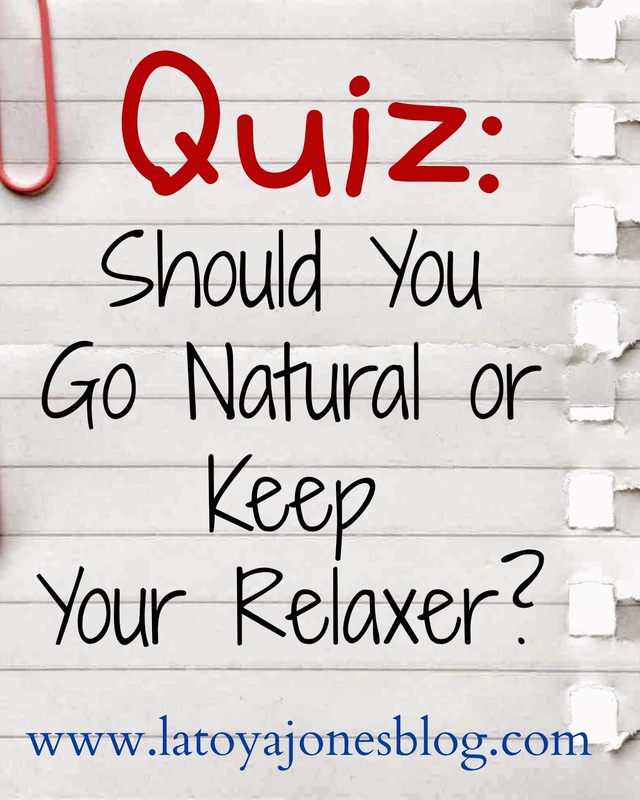 Are you thinking about going natural? Are you considering ditching your relaxer? I have put together a quiz for you to take in order to help you make your decision. Remember, neither answer is necessarily wrong, your main goal should always be to have healthy hair. You can have relaxed hair that is damaged and you can also have natural hair that is damaged. You want to choose the best option for you that will allow you to have the healthiest hair possible. Let's get started! 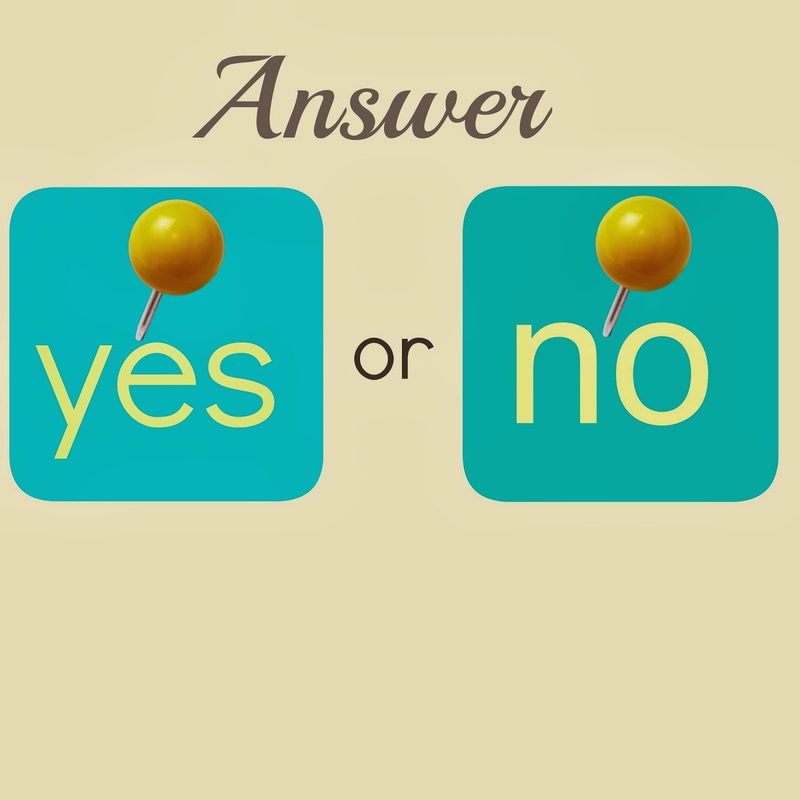 Grab a piece of paper and write down yes or no for your answers. Are you considering going natural solely because you want to try something new with your hair? Do you want to become natural to have healthier hair? Have you received damage from relaxers? Were you getting your relaxer touch up every 6 weeks or less? If you were to go natural, would you wear your hair in its naturally curly state? If you knew a way to safely get relaxers without damaging your hair would you still consider going natural? Would you consider doing the big chop instead of transitioning? If you had to choose one chemical between relaxer and color, would you choose color? If you had to choose whether to wear your hair curly or straight, would you choose curly? Now it is time to tally up your answers! Add up all of your yes's and all of your no's. If you have more yes's then you are on your way to becoming natural. Proceed reading. If you have more no's skip to the "no" section. You had more yes answers not just because you want to try the newest trend or because going natural for you is something new to do with your hair. You had more yes answers because you are really wanting a change for your hair. You have more than likely received damage from relaxers due to incorrect or improper usage or getting them too frequently and want to have healthy hair. You are willing to discontinue getting any more relaxers in an effort to get your hair back to being its healthiest. If this sounds like you then congratulations on starting your healthy hair journey! My tip for you would be to just go ahead and do the big chop. Transitioning and allowing your hair to grow out can be very hard when trying to manage two textures. A lot of women become very frustrated and end up just cutting the relaxed part off in the end so my recommendation would be to save yourself the headache and go for it. Once your hair is all one texture, you can then be able to grow it back easier without having to make both textures blend with each other. If you really do not want a teeny weeny afro, I would also suggest getting a protective style like braids, a sew-in or something like that to allow your hair to grow out. Once you get to a length you can live with, cut the remaining relaxed part off. If you had more no answers than yes then you are more than likely on the fence about going natural or keeping your relaxer. You would keep the relaxer if you knew your hair could be healthy and would still wear your hair straight even if your hair was natural. Well, the good news is that you absolutely can have healthy, and relaxed hair. If you have been getting relaxers every four to six weeks, this is why your hair is damaged. I challenge you to double that and stretch your relaxer to every ten to twelve weeks. Anything over twelve weeks is more icing on the cake. You really should aim for having at least two inches of new growth before getting your next relaxer. This prevents you from getting any over-processing due to overlapping of the relaxer which causes a most of the damage and breakage. I personally stretch my relaxers out to every six months and have about four inches of new growth by the time I get my touch ups. My hair is healthy and I do not have any problems with damage or breakage. And even though I am a professional myself, I still do not do my own relaxers but instead I have another professional hairstylist do it for me. Relaxer stretching is the key ingredient to having healthy, relaxed hair. Getting them too soon always leads to damage. Then people start saying that the relaxer took their hair out when that is not completely true. The truth is that any chemical that is not used correctly will have an adverse effect on your hair, relaxers included. Congratulations on your journey toward having healthy, relaxed hair and be sure to check out my series on how to stretch past six weeks!